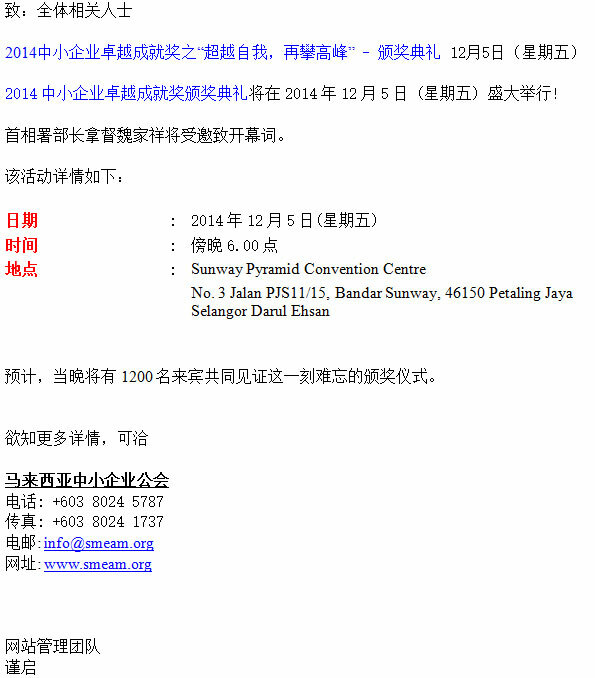 Please be informed that SME Recognition Award Presentation & Gala Dinner 2014 will be held on December 5, 2014 (Friday). YB Datuk IR. Dr. Wee Ka Siong, Minister in Prime Minister Department will be officiate the event.